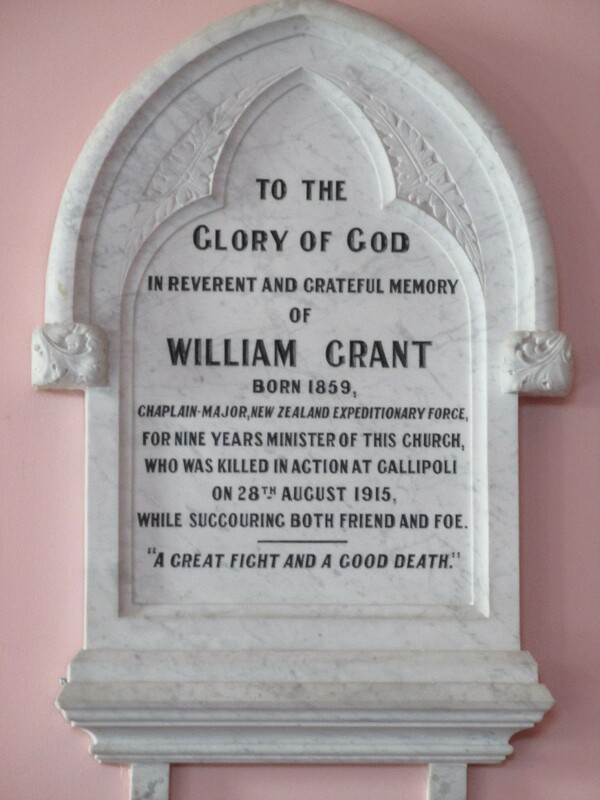 Chaplain Major William Grant 27 April 1859 – 28 August 1915 Credit: Courtesy of Presbyterian Archives Research Centre, Knox College, Dunedin. 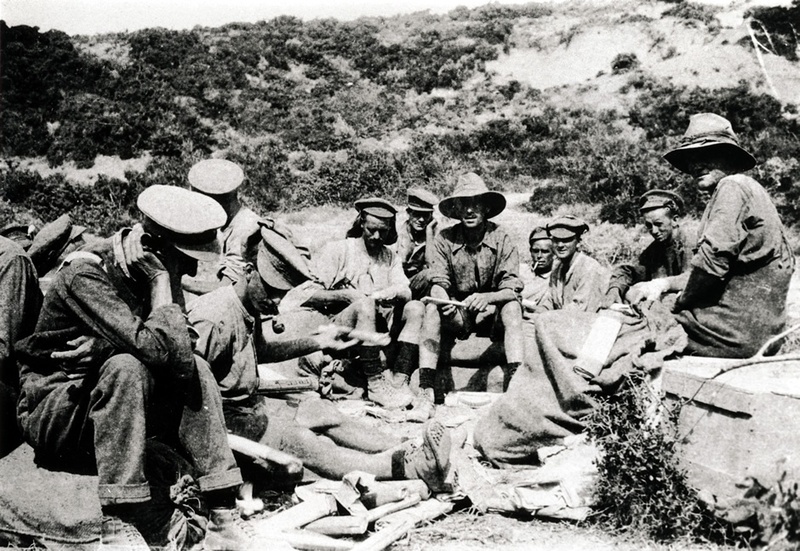 The early August offensive to take and hold Chunuk Bair had failed and the fight for Hill 60 (Kaiajik Aghala), General Hamilton’s last attempt to break the stalemate on Gallipoli, had ebbed and flowed from 21 August 1915. A week’s intense fighting had only reached the stage where Allied troops and the Ottoman defenders ‘shared’ trenches in places with only sandbags and corpses separating the two sides. At midday on Saturday 28 August 1915, a very hot summer’s day, two chaplains wearing distinctive Red Cross arm bands and focused on finding and assisting wounded soldiers were inexplicably allowed to advance into the position by the troops who had captured the maze of trenches at Hill 60. Sadly for one of these two non-combatants, death was literally around the corner of a ‘shared’ trench. A shot rang out and one of the two men, the taller and older of the two, crumpled and the other man seeing two oncoming Ottomans beat a hasty retreat. Rumours about Grant’s death soon spread. These ranged from the wounded Grant having had his throat slit by the Turks to get his boots to the fanciful notion that after Grant had been bayoneted in the heat of battle the Turks hoisted a white flag, and sent Dobson back with their apologies for their mistake. Clearly Dobson’s account as the only eyewitness must be relied on to be correct. Sorting mail from New Zealand, near Hill 60, before the fight. Chaplain-Major Grant with hand on head (on left), Sergeant-Major Pye-Smith (in centre), and Sergeant-Major Brown (on right) were killed a few hours after this photograph, was taken. Credit: Major A H Wilkie, Official War History of the Wellington Mounted Rifles Regiment 1914-1919, Auckland, 1924. The 'tablet' made of white marble by Messrs H E Tweed and Co, was unveiled in St Andrews on 19 April 1917 at a special service attended by Mrs Grant, George Grant, Presbyterian church leaders, returned soldiers, members of Masonic lodges, the Mayor and Gisborne Borough Councillors, representatives the Citizens' Defence Committee, St Andrew congregation members and a large number of the public. Credit: Courtesy of St Andrews Church Gisborne. Grant’s death brought home to New Zealanders the hardships and the dangers non-combatants faced in war. Grant was the first of a number of chaplains who would either lose their lives or who would be disabled for life as a result of practising their faith at the battle front. William Grant was such a man. A quiet hero deserving recognition for his beliefs, bravery, and valuable contributions in a world of war. 1. Letter from Charles Dobson to his cousin Emily Dobson, Dobson Collection at Marlborough Museum Archives, Blenheim. 3. 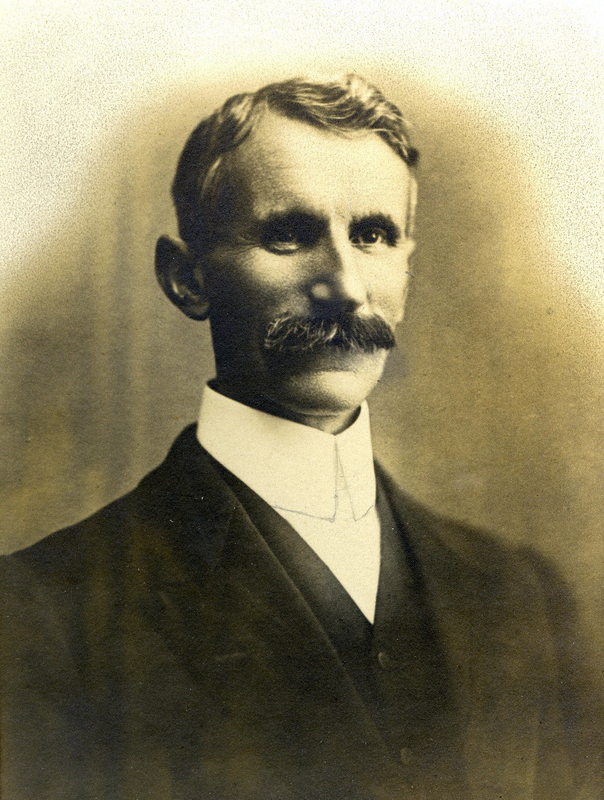 Henry Blamires Diary Vol 2, 2 July 1915 – 2 May 1916, Presbyterian Archives Research Centre, Knox College, Dunedin. 4. William Grant is commemorated today on the Hill 60 (New Zealand) Memorial Gallipoli. There are 788 burials and commemorations in the Hill 60 cemetery. 712 of the burials are unidentified. 5. History-Sheet, William Grant PF, R 7880058, ANZ; In Memoriam, Chaplain-Major William Grant: His Letters from the Front, Gisborne, 1915, pp. 23-33, 56-57. 6. Press, 7 September 1915, p.10. 7. Waikato Times, 9 September 1916, p.1. 8. Preface, In Memoriam, 2nd edition, Gisborne, 1915. 9. Shirer to Tate, 6 June 1916, William Grant PF, R 7880058, ANZ. 10. ibid., Tate to Shirer, 6 July 1916. 11. Poverty Bay Herald, 20 April 1917, p.9.